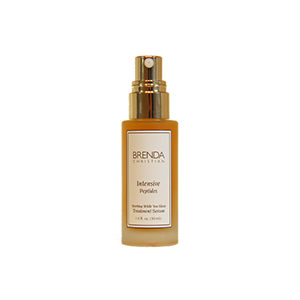 Brenda Christian Scientists have created the perfect anti aging cocktail of Intensive Peptides to deeply nourish your skin each evening as you sleep. Brenda Christian Cosmetics uses a unique blend of peptide ingredients in this skin serum! Use Intensive Peptides both morning and night. Argireline – Say Good Bye To Needles and Medical Bills! By inhibiting involuntary muscle contraction, as proven in a clinical study, Argireline has a Botox-like effect, relaxing the facial muscles and reducing fine lines and wrinkles, especially on the forehead and around the eyes. Eyeliss – Want to Reduce Puffiness Around Your Eyes? This is a peptide that works to prevent fluid build-up, reducing inflammation and improving skin elasticity and discoloration. Tego-Pep 4-17 – Have you tried topical fillers? Well here is nature’s answer with both short term and long term benefits. This is a clinically proven bio-active dermal filling peptide. 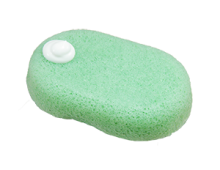 It reduces wrinkle depth and skin roughness while improving elasticity drastically. Matrixyl 3000 – Sometimes called the “youth elixer” this powerful antioxidant is made by combining two peptides, palmitoyl oligopeptide and palmitoyl tetrapepide-7. It performs by stimulation the matrix molecules – collagens 1, 3, 4 and fibronectin to reduce the appearance of wrinkles. Omega 3 and Omega 6 Fatty Acids – These lipids are essential for skin health and are effective against eczema, melasma, mild burns and scaliness. Phospholipids – With 90% pure phosphatidylcholine, this mimics the skin’s natural lipids, helping to restore a natural, healthy oil/moisture balance. Hyaluronic Acid – The ultimate in hydrating agents, Hyaluronic Acid (HA) hold up to 1,000 times its own weight in water. In this product, we combine HA with cellulose and oat B-glucan, which further bind water to ensure a well-balanced stratum corneum water level. Brenda Christian recommends using this powerful serum each evening under Hydration Luxe Super Serum, and for an extra boost, over Daily C Serum with Ferulic Acid, during the day. Skin will immediately feel firmer and toned while micro-circulation throughout the day will be improved. Purified Water, Acetyl Hexapeptide-8, Glycerin, Hesperidin Methyl Chalcone, Steareth-20, Dipeptide-2, Palmitoyl Tetrapeptide-7, Butylene Glycol, Tetrapeptide-21, Carbomer, Polysorbate 20, Palmitoyl Oligopeptide, Palmitoyl Hexapeptide-14, Sodium Carboxymethyl Beta-Glucan, Sodium Hyaluronate, Docosahexaenoic Acid, Lecithin, Rosmarinus Officinalis (Rosemary) Leaf Extract, Elaeis Guineensis (Palm) Oil, Tocotrienols, Tocopherol, Resveratrol, Caprylyl Glycol, Phenoxyethanol, Sorbic Acid, Haematococcus Pluvialis (Astaxanthin) Extract, Fragrance.